The system includes technologies for controlling the borders and protection of facilities. Russia's arms exporter has created a concept and proposed within it a list of Russian technologies that are an integrated security system. The system involves urban security, border control and anti-terrorism technology. India is interested in the acquisition of an integrated security system presented by Russia’s arms exporter Rosoboronexport at the Defexpo India 2016 exhibition, the company’s deputy CEO Sergey Goreslavsky told reporters on Tuesday. The Defexpo India 2016 international exhibition is held in Quitol in the state of Goa in India on March 28-31. During the exhibition, the Russian arms exporter Rosoboronexport is negotiating with Indian partners joint projects for the Indian Armed Forces’ further upgrade. "The Indian partners are very keenly interested in this system, because the country's Ministry of Defense is also involved in the fight against terrorism. We have held talks with the leadership of Indian states. The country’s defense minister expressed the desire to visit during his possible next trip to Russia [in April] a military facility that uses the most advanced security technology for its protection," Goreslavsky said. According to him, this line of work is very promising for Rosoboronexport. "We have created a concept and offered within it a list of Russian technologies that are an integrated security system. Above all, these are special technologies for controlling the borders and protection of facilities. They include, in particular, a number of proposals on combating terrorism," the company’s deputy head said. 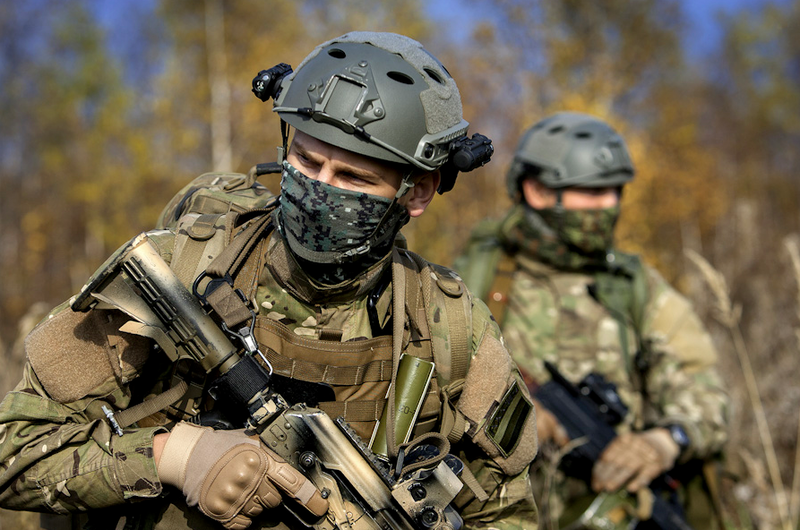 This system also includes proposals on small arms, on helicopters and armored vehicles, as well as on mobile centers for the organization of work, including in mountainous terrain, Goreslavsky added.